But there came a day when the fleets of the Buccaneers no longer mustered at the Tortugas, and the solitary and outlawed pirate took their place. Yet even with him the tradition of restraint and of discipline still lingered; and among the early pirates, the Avorys, the Englands, and the Robertses, there remained some respect for human sentiment. They were more dangerous to the merchant than to the seaman. But they in turn were replaced by more savage and desperate men, who frankly recognised that they would get no quarter in their war with the human race, and who swore that they would give as little as they got. Of their histories we know little that is trustworthy. They wrote no memoirs and left no trace, save an occasional blackened and blood-stained derelict adrift upon the face of the Atlantic. Their deeds could only be surmised from the long roll of ships which never made their port. From time to time there came rumours of Sharkey over the sea. Sometimes it was from some schooner which had seen a great flame upon the horizon, and approaching to offer help to the burning ship, had fled away at the sight of the sleek, black barque, lurking like a wolf near a mangled sheep. Sometimes it was a frightened trader, which had come tearing in with her canvas curved like a lady’s bodice, because she had seen a patched fore-topsail rising slowly above the violet water-line. Sometimes it was from a Coaster, which had found a waterless Bahama Cay littered with sun-dried bodies. Once there came a man who had been mate of a Guineaman, and who had escaped from the pirate’s hands. 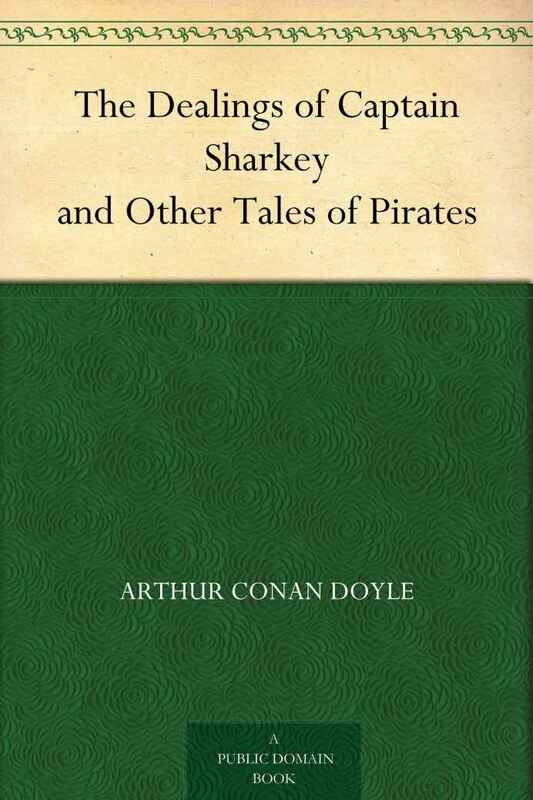 He could not speak—for reasons which Sharkey could best supply—but he could write, and he did write, to the very great interest of Copley Banks. For hours they sat together over the map, and the dumb man pointed here and there to outlying reefs and tortuous inlets, while his companion sat smoking in silence, with his unvarying face and his fiery eyes. One morning, some two years after his misfortune, Mr. Copley Banks strode into his own office with his old air of energy and alertness. The manager stared at him in surprise, for it was months since he had shown any interest in business. “Good morning, Mr. Banks!” said he.